Wearable tech is all the rage these days. Devices that add convenience or help you workout have been on the market for a few years. The next step of wearable tech seems to be clothing that focuses on health. We recently reported on socks that help prevent foot ulcers in diabetics. 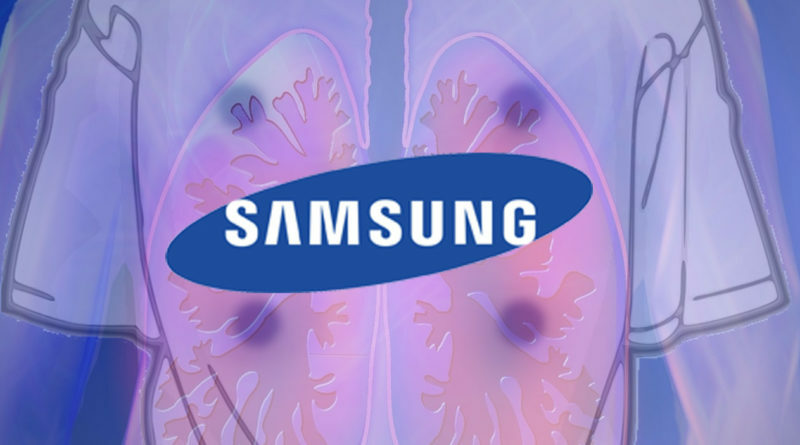 Now Samsung is getting in on the action with a shirt that helps monitor your lungs. The company has recently been approved for a patent of a smart shirt that monitors lung functions. It’s equipped with sensors that detect lung sounds and analyzes the data to diagnose any potential respiratory issues. The shirt also monitors a person’s breathing, checking frequency and strength. Before making a diagnosis, the Samsung smart shirt factors in a persons age, gender, size, and medical history. It will give advice ranging from preventative measures to seeking care immediately. The smart shirt is connected to a users smartphone so results and recommendations can be read immediately. 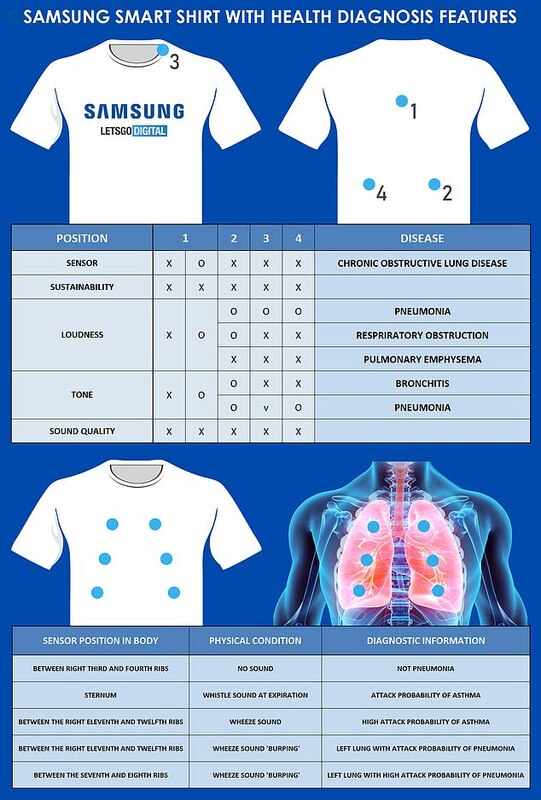 The shirt can diagnose things such as pneumonia, bronchitis, asthma, and COPD. The sensors can also be embedded in other types of clothing such as sweaters and tank tops. This type of technology could have a wide variety of uses. It could track the lung function of a marathon runner in real time or be used to help monitor a sick child at home. It could also help cut down on wait times at a doctors office. No word on when Samsung’s smart shirt will be available for purchase but we look forward to seeing how well it functions in a real-world environment. “Consider, for example, a professional footballer who is on the sports field, where the lung function can be monitored in real time, But also for a sick baby or child, this technological solution can offer a solution. If you can easily make a long scan at home, that is, of course, a big win. Obviously, the smart shirt must be made a size smaller for this group of users.” a spokesperson for the company said. Check out our article on AI helping to translate brain activity and Facial Recognition curbing crime during Carnival.